Rush says Obama is an "authentic black" because his mother had an immediate relative who was a slave.
. Permissions beyond the scope of this license may be available at rightardia@gmail.com . Mittens has a huge media problem that he has created. He stonewalled the US media in the UK and took no questions. He did the same thing in Poland. He is also taking hits from conservative pundits like Charles Krauthammer. Jesus drives the investment bankers from Wall Street. This is more accurate view of Jesus than men like Joel Osteen have, who push Christian prosperity. 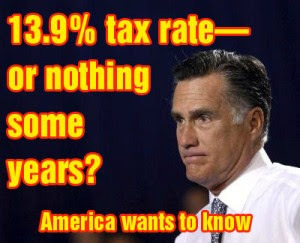 A Bain investor told Senate Majority Leader Harry Reid that Mittens hadn't paid taxes in 10 years. Bain Capital: We're not so bad! Mitt Romney, on Fox News, accused the media of attempting to "divert" attention from more substantive issues by pointing out Mittens overseas blunders. As Der Spiegel pointed out, Israel and Palestine need a mediator and Mittens pandering of Israel has made him unacceptable to the Palestinians if he were somehow elected president. In addition, the US really has no way to stop Iran from developing a nuclear weapon. If the US were to attack Iran, it would most certainly accelerate its nuclear program. Mitt's foreign policy views are hawkish and similar ro those of GW Bush. 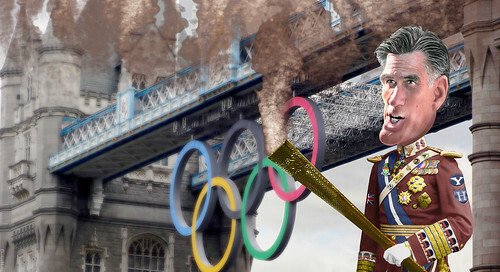 Rightardia fears Mitt's oafish foreign policy views could lead the US into a middle east regional war. 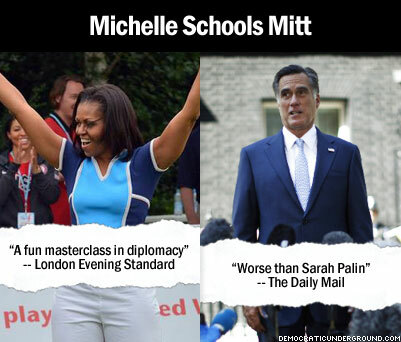 Mittens is clearly out of his element and oafish when it comes to diplomacy and foreign relations. His comments about Iran and Palestine have enraged the Islamic world. St. Petersburg, FL –Jessica Ehrlich is holding a Town Hall meeting with the SEIU and middle class, working families. Discussion will focus on how to attract good jobs and grow our economy here in Pinellas County. Strengthening the middle class is vital to our community,We need leaders who will engage in conversation with those working every day to support their families. Bill Young has repeatedly voter to slash medicare, give tax breaks to billionaires and companies that ship jobs overseas, and further shrink the struggling middle class. Young thinks we can’t afford to invest in the future, I think we can’t afford not too. Contact Kiel Brunner at 727.342.0655 for more information. The event is open to the press. LONDON -- "Don't spend it all in one place, Paul. 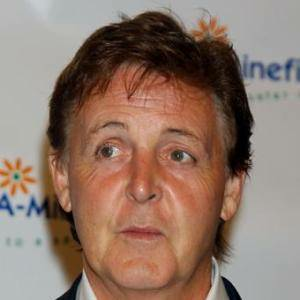 London Olympic organizers say former Beatle Paul McCartney and other star performers who took part in Friday's opening ceremony essentially donated their time – receiving a mere pound ($1.57) – for their performances." Can you imagine US performers doing this in the US? Some probably would do it for thier country. Many would not. 'via Blog this' Subscribe to the Rightardia feed: http://feeds.feedburner.com/blogspot/UFPYA Rightardia by Rightard Whitey of Rightardia is licensed under a Creative Commons Attribution 3.0 Unported License. Permissions beyond the scope of this license may be available at rightardia@gmail.com. The atheist Pig is usually quite militant, but he chilled out today. NewsDaily (2012-07-31) -- Most Americans back the idea of extending health coverage to their low-income neighbors through the government's Medicaid program, unless it means higher costs for their own state, according to a new poll. Rightardia uses a chrome extension to check out blogs rating. The newest version of Alexa had to be re-enabled because it can now access data on all websites, monitor tabs and browsing activity and capture your list of apps, extensions and themes. Rightardia's recomendation. don't use the Alexa toolbar or extension. It has morphed into a browser helper object that is essentially spyware. Rightardia's numbers are certified by Alexa, but under the circumstances, we have cancelled the Certified Pro Alexa service. The trip to Israel may help Romney in the short-term. But in the long-term the Republican has done damage. The Middle East needs the US as a mediator. As such, the presidential hopeful has already disqualified himself. A new book by Cornell Law School Professor Lynn Stout explores the concept of “shareholder value” and how it endangers not only investors, but also anyone involved in the economy. We also changed the tax code in 1993 to require companies to tie executive pay to an objective performance metric. The favorite metric was share price and, buy, that did as much as anything to make executives pay attention to shareholder value more than anything else including employee security, customer satisfaction, or even the company’s long-term future. In her book Stout lays out how the focus on increasing shareholder value contributed to the BP Gulf Cost disaster. Unfortunately it’s not only a disaster for BP shareholders. It was a disaster for their bondholders, their employees, other people who worked in the Gulf, fisherman, the tourist industry and the eco-system itself. Studies have suggested that if a corporation is a person that person would like be considered a psychopath. The reason public corporations do some of these psychopathic things is because they’re responding to psychopathic investor pressure. There’s some very interesting data that suggests so-called private companies that have controlling shareholders may be more socially responsible and take better care of their employees and the reason is because they’re not responding to these pressures, especially the pressure of the short term hedge fund. Stout doesn’t simply criticize shareholder primacy in her book, but also offers potential solutions to the problem. One solution is a tax on stocks. If we put in place a stock trading tax that would slow down some of that short term trading and would give corporate managers and executives more leisure to think for the future. Another thing to do would be to undo some of these changes that were made in the name of so-called “shareholder Democracy.” The reality is the only shareholders who really try to exercise influence under these rules are the hedge funds. They’re very undiversified, they only own stock in two or three corporations, and they have very big positions. But your average investor who owns stock in several companies or who owns stocks through a mutual fund which might own stock in a hundred companies, they’re not going to get involved in a corporation’s day-to-day, because they’re much too diversified. The irony is when we’re talking about shareholder power we’re really talking about hedge fund power and we would do well to reduce hedge fund power. Corporations go public by selling common stock to raise money for expansion. In the process, the ownership of the company is taken over by shareholders who are primarily hedge and mutual funds. Public corporations must declare quarterly earnings which puts tremendous pressure on both executives and workers to constantly excel. Some public corporations have bough common stack back to regain control o their companies. This not only makes the stock more valuable, it can also prevent a hostile takeover of the company by a venture capitalist like Mitt Romney. In fact, the federal government owes Social Security (Social Security Trust Fund and Federal Disability Insurance Trust Fund) - $2.4 trillion. "Dodging reports, fearing his base, hiding his taxes—is Mitt Romney just too insecure to be president? In Newsweek, Michael Tomasky surveys a history of presidential manliness and asks just where Mitt would fit amid the studly swagger of Dubya and Reagan." Rightardia has published an article on how Mitt joined the Mormon Foreign legion during Vietnam. While "real Americans" were fighting in Vietnam, Mittens rode a sissy bicycle in France and lived in a mansion attended y a chef and a housekeeper. 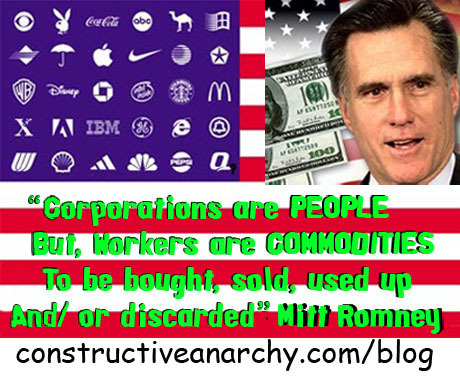 Mitts' rise in the corporate world was due to his sales ability. many salesman have 'adaptive personalities' that allow them to read their audiences and make quick changes if their pitch is flopping. People like this are often called sycophants: self-seeking, servile flatterers and fawning parasites. The worst type is the kiss up, kick down type. They are terrible people to work for because their immediate bosses often love the flattery of the sycophant and ignore the mistreatment of the sycophant's employees. The double standard for the "middle class"
The Key of Awesome! : Hot Problems --Mitt Romney! Romneys, we have problems, too! Mitt's anglo-saxon heritage didn't win him many friends in the UK. Is that Rep. Allen West? Trust us or we will release the hounds!